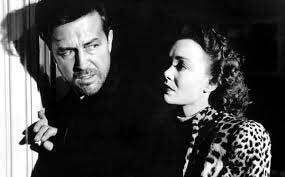 from 1945 starring Ray Milland and Jane Wyman. Yeah, the flick is that good. 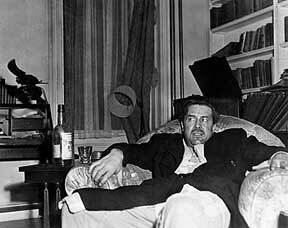 The character we see is Don Birnam, a recovering alcoholic that’s been on the wagon (with the help of his girlfriend and his brother) for a whole ten days. He seems to be over the worst, but a few minor setbacks later the itch comes back, and all he can think about is his best friend, the bottle. He weasels out of a weekend away with his family and plans a lovely evening at home and on the town drinking his liver away. 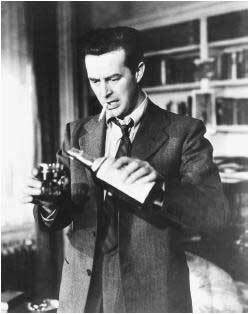 One of my favorite lines in the movie goes something like this, to the bartender, “The cheap stuff for me. None of that imported whiskey.” If you’ve ever known anyone with an alcohol problem, you know they’ll drink anything they can get their hands on, and plenty of it. 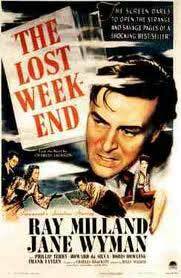 It was truth and realism like this that made The Lost Weekend stand out as a superb film, well ahead of it’s time in 1945. I highly recommend this film. It’s not only a fantastic movie, it gives us an insight into the lives of realistic people living at the middle of the 20th century. What I mean by that is many of the films we love from the era have highly stylized and stereotyped characters…which is fine, that makes them fun…but The Lost Weekend portrays people at their lowest, and highest, with a realism that stands up even today…consequently, there’s never been a remake. I don’t think anyone could come close. Food & Booze: The Cheap stuff. Maybe Philadelphia whiskey, if you can stand it. Food will only make you sick. I’m often surprised by how many people are unfamiliar with the term, and what genre it refers to. Literally meaning “black movie”, Film Noir refers to the dark, ominous movies of the 1930s through 1950s that were not only filmed in low light, but showed the dark side of the human condition. The cinematography was very artistic with the action often filmed at night or in dark places (such as bars, for instance). Up-angles, wide shots, darkened backgrounds and other artistic elements were directed to invoke a specific look and feel, giving the films a very dark, eerie (and sometimes sleazy) tone. Ominous music and very serious acting added to the overall effect. 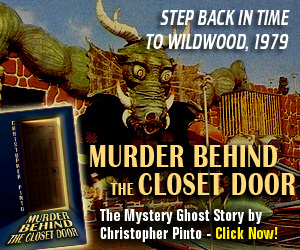 The stories were most often crime dramas and dealt with the worst elements of society…thieves, murderers, prostitutes and wayward women, drug addicts, crooked politicians and gumshoe detectives. Occasionally there would be a break from the typical crime story, and a flick like The Lost Weekend would show us another way for a man (or woman) to hit their lowest. 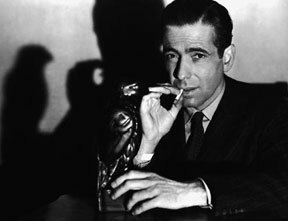 Some of the most famous examples of Film Noir are The Big Sleep, Sunset Boulevard, The Maltese Falcon, and Laura. Arguably, movies such as Citizen Kane, Casablanca, The Haunting and even to some extent It’s a Wonderful Life fit the bill (I did say arguably, please note). 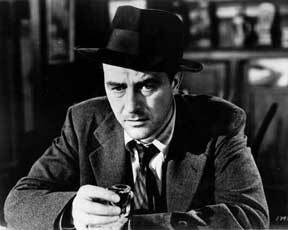 In recent times, new flicks filmed in the spirit of the age of Noir have been dubbed “Neo-Noir”…I’m talking about jazz like Sin City, L.A. Confidential, Blade Runner and Mulholland Drive. 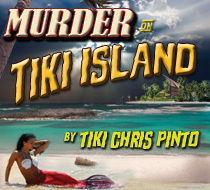 Expect to see some of these titles in upcoming Noir Movie Monday posts in 2011. -Tiki Chris P, reporting from a dimly lit alley behind the tracks of some nowhere, two-bit town. 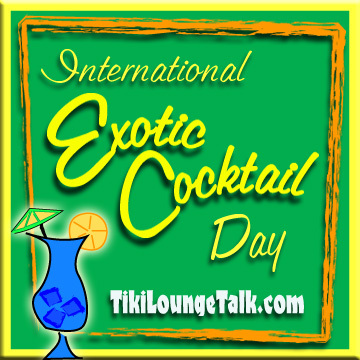 Tiki Lounge Talk – The swingin’ blounge for hipsters, flipsters, and all-night kicksters. Oooo, this sounds like a good one. Just added it to Netflix queue. Oh Jen you will REALLY Dig this one! Watch it with the lights low for the full effect.